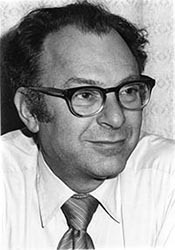 George Schulz was Professor of Applied Sciences at Yale University (1966-1976). Other institutional affiliations included Westinghouse Electric Corporation and Massachusetts Institute of Technology (MIT). His research interests included atomic-collision physics, low-energy electron beams, and sharp energy resonances. April 29, 1925Birth, Brno (Czech Republic). 1949Obtained BS, Pennsylvania State College, State College (Pa.). 1949 – 1951Assistant Professor, Pennsylvania State University. 1950Obtained MS, Pennsylvania State College, State College (Pa.). 1951 – 1954Assistant Professor, Massachusetts Institute of Technology (MIT). 1954Obtained PhD in Physics, Massachusetts Institute of Technology (MIT), Cambridge (England). 1954 – 1966Research Physicist, Westinghouse Research Laboratories, Westinghouse Electric Corporation, Pittsburgh (Pa.). 1965Awarded Davisson-Germer Prize in Atomic or Surface Physics, American Physical Society. 1966 – 1976Professor of Applied Science, Yale University, New Haven (Conn.). January 15, 1976Death, New Haven (Conn.). Obtained PhD (1954) in Physics. Assistant Professor. Obtained BS (1949) and MS (1950). Assistant Professor. Research Physicist, Westinghouse Research Laboratories. Received 1965 Davisson-Germer Prize in Atomic or Surface Physics. Electron-molecule scattering / edited by Sanborn C. Brown. George Schulz Physics Today obituary.